It’s one of the five basic tastes, along with salty, sweet, sour, and umami. It’s also the least popular and the most mysterious. “That tastes bitter” is not usually a compliment, and yet scientists are increasingly concerned that by banishing bitter from our diets, we’re affecting our health in ways we don’t fully understand. In this episode, we get to know bitter a little better, finding good reasons and new ways to appreciate its complex charms. The prevailing evolutionary explanation for the ability to taste bitter is that it is a warning signal for toxins—a prompt to our foraging ancestors to spit out the offending leaf or fruit immediately. But, as it turns out, bitter-tasting compounds not only add a delicious complexity to some of our favorite foods and drinks—chocolate, coffee, and beer, to name just a few—but are often quite good for us. And yet, while our chocolate and beer have become more bitter in recent years (consider the rise of aggressively hoppy IPAs and sharp, rich 80 percent dark chocolate bars), our fruit and vegetables have taken a dramatic dive in the opposite direction. Plant breeders have responded to humanity's innate love of sugar by developing ever sweeter versions of our favorite produce. 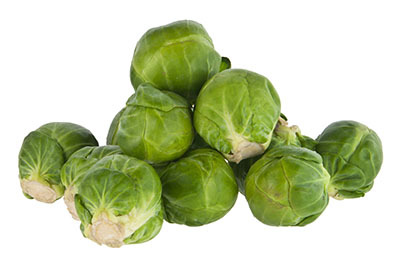 Traditional Brussels sprouts, for example, have increasingly been replaced by modern, “super-sweet” varieties. White grapefruit are significantly more bitter than the sweeter pink and red ones, but white grapefruit have nearly vanished from supermarket shelves. The chemicals being bred out of our produce, however, might be some of the most healthful ones of all. Bitter fruits and vegetables already make up less than five percent of the average American’s daily diet. Now, as our produce becomes sweeter, bitter-tasting foods have become almost an endangered species. In this episode of Gastropod, we speak with researchers at the Monell Chemical Senses Center to explore the unexpected side-effects of reducing bitter, looking beyond flavor to explore the latest research into the role that bitter plays in our immune system, digestion, and perhaps even fertility. We also attempt to unravel some of the mysteries of bitter taste perception, traveling to Africa with evolutionary biologist Sarah Tishkoff to learn why some of us have evolved to tolerate it better than others. And we speak with Jennifer McLagan, author of the new cookbook Bitter: The World’s Most Dangerous Flavor, who shares some of the long and fascinating history of the use of bitter foods, as well her top tips to help us learn to love it again. Encouraged by McLagan, Gastropod co-hosts Cynthia and Nicky experiment with cooking the most bitter vegetable of all—and even end up (kind of) enjoying it. Listen in to learn bitter’s secrets, and then reintroduce your palate to this most sophisticated and powerful of tastes. Jennifer McLagan is a chef and writer whose previous books include Bones, Fat (named Cookbook of the Year by the James Beard Foundation), and Odd Bits. Bitter: A Taste of the World's Most Dangerous Flavor contains the curious history of chicory coffee, untangles the relationship between the artichoke and its bitter cousin, the cardoon, and tells the story of the world's most expensive vegetable (you'll have to read it to find out). It also contains lots of recipes to encourage readers to re-introduce bitter back into their daily diet, from beer jelly to the one we tried, bitter melon in coconut milk (see below for the recipe). Robert Margolskee is director and president of the Monell Chemical Senses Center, where his research focuses on the molecular mechanisms of taste reception, on the tongue and beyond. The company that spun out of his research into bitter blockers was called Linguagen, and their first candidate molecule, adenosine monophosphate or AMP, is naturally found in breast milk, meaning that many of us have already tried it. According to this article, "the company has found the only drawback of adding too much AMP to their coffees is that it generates the taste of raw fish in your mouth." Paul Breslin is a member of the Monell Chemical Senses Center as well as a professor in the Department of Nutritional Sciences at Rutgers University. He is a geneticist and biologist whose work focuses on taste perception. Sarah Tishkoff is a professor of genetics and biology at the University of Pennsylvania. She studies genomic and phenotypic variations found in diverse African populations—including their bitter receptor genes and taste perception. When we spoke to her, Tishkoff had just returned from Tanzania, where she had been researching traditional medicines used by the Hadza, a hunter-gatherer group. Thanks also to Dana Fedeli for coordinating our interview. Alex Whitmore founded Taza Chocolate in Somerville, Mass., after he traveled to Oaxaca and fell in love with the earthier style of stone-ground chocolate there. Taza's disks and bars, in flavors including salted almond and guajillo chile, can be found in stores around the U.S.
Daniel Fromson is a beer nerd, as well as a copy editor at The New York Times Magazine and a journalist whose writing has been published in The Atavist, The Atlantic, Harper's Magazine, and elsewhere. Toni (Antoinette) Mazzaglia founded Taste Florence in 2008, which offers visitors a chance to experience Florence and its food like the locals do. Cynthia wrote about her in the Boston Globe in 2010. Heather Lee is a post-doc at MIT and assistant professor at NY Shanghai. She was previously featured on our episode The United States of Chinese Food. This recipe is loosely based on a Thai curry, and it's the best recipe to introduce yourself to this vegetable. The spicy curry paste, the fat of the coconut milk, and the salty fish sauce help balance the melon's bitterness. It is still bitter, so if it's your first time with bitter melon, just add one. Make up the difference with other vegetables, such as red pepper, green beans, and potatoes, to make a vegetable curry. Serve it with steamed rice. Serves 4. Prepare the bitter melon: Choose small to medium-size melons, making sure they are firm; with bitter melon, bigger is not better, just more bitter. Rinse the melon and cut in half lengthwise. Use a small spoon to scrape out the seeds. Cut the melon halves into 0.5 inch / 1 cm slices. Place the slices in a colander and toss with some salt. Let stand for at least one hour, tossing from time to time. Rinse the melon and then, using a towel, squeeze out the excess liquid; set aside. Place a large heavy frying pan with a lid over medium-high heat. Add the oil, and when it is hot, add the curry paste and turmeric. Cook, stirring, until fragrant, about 30 seconds. Pour in the coconut milk and bring to a boil, whisking. Add the lime juice, fish sauce, and bitter melon slices. Lower the heat so the sauce simmers, then cover and cook for 5 minutes. Remove the lid and continue to cook another 10 minutes, or until the melon is tender. Stir in the tofu and tomato and cook until heated through. Check the seasoning, sprinkle with the green onions, and serve.